They feel as good as they look!. Made of top quality material, our super-soft and comfortable hooded sweatshirt, comes with front pockets, elastic trims, and of course our world famous logo. I'm a big fan of wearing my heart on my sleeve, but it seems that most articles of chess clothing fall into this pattern of "eat, chess, sleep, repeat", "keep calm & promote the pawn", or my personal least favorite "i play chess and that makes me smart". 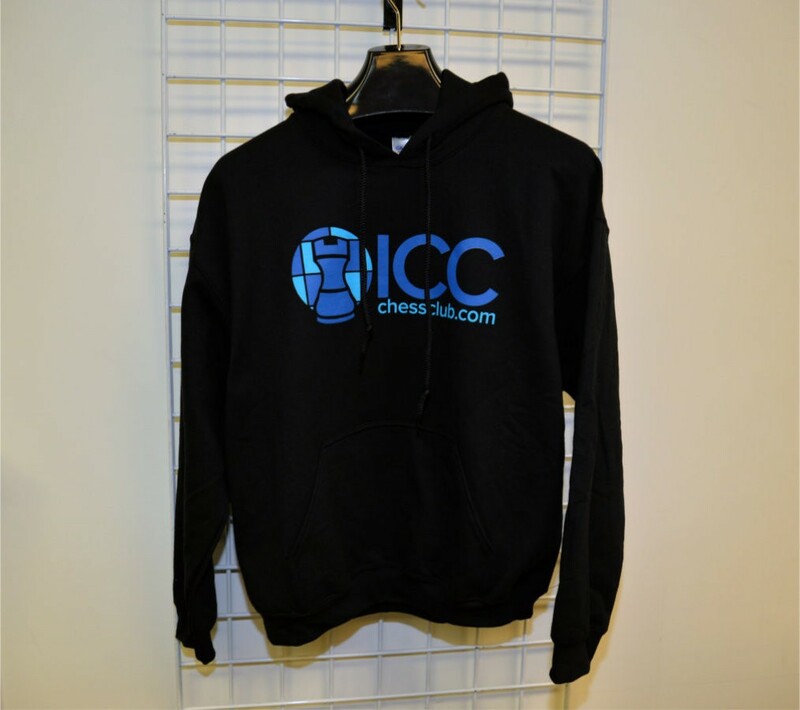 This ICC hooded sweatshirt covers exactly the kind of subtlety I want to wear while still beasting a very cool logo and color scheme. My only gripe is that the sleeves are a little short- though I have longer arms than most size L's.